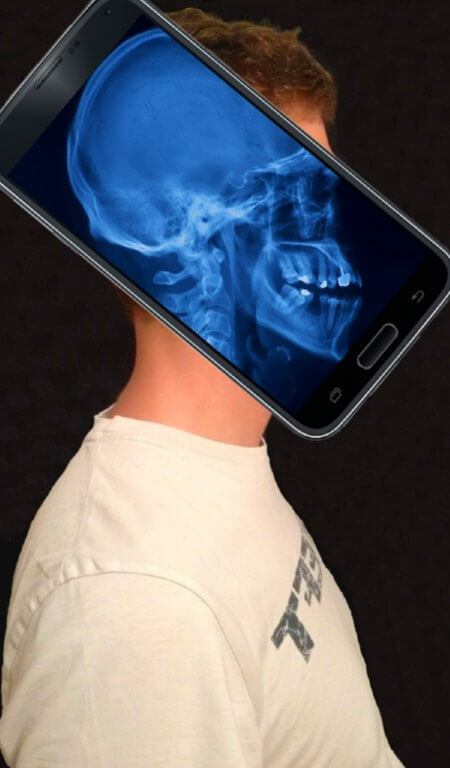 “XRay Body Scanner Simulator” is an entertainment app which lets you carry out fake X-ray scans on your friends. Remember that this app is not a real x-ray machine, but only a simulator, which some of your friends may take as a real roentgen scanner. Select the body part you want to scan. Place your phone in front of that body part. 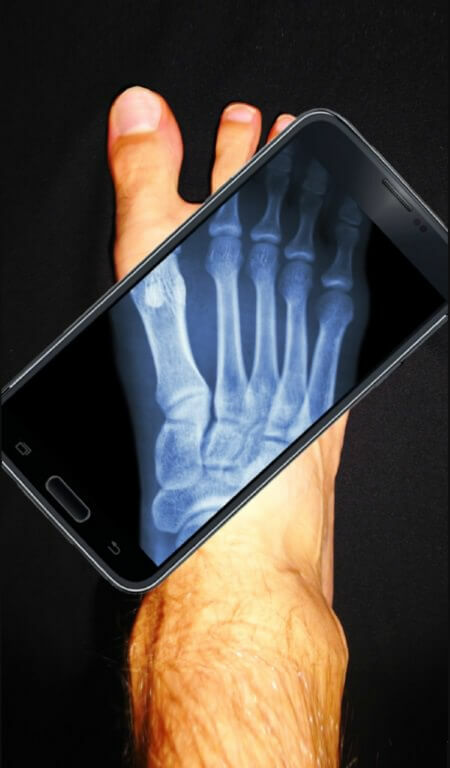 This tool will display part of earlier prepared image of skeletal body part on your phone’s screen. To move to another part of roentgen photo, tilt your phone in the direction you want to go. App uses accelerometer to detect phone tilt angle, and based on given information it moves photo in proper direction. For better performance you can adjust tilt angle sensitivity, picture move speed and body part size in settings. Moreover you can use view reset button, which will reset phone’s tilt angle to the actual position of the phone. It will let you scan a person who is sitting, lying or standing. 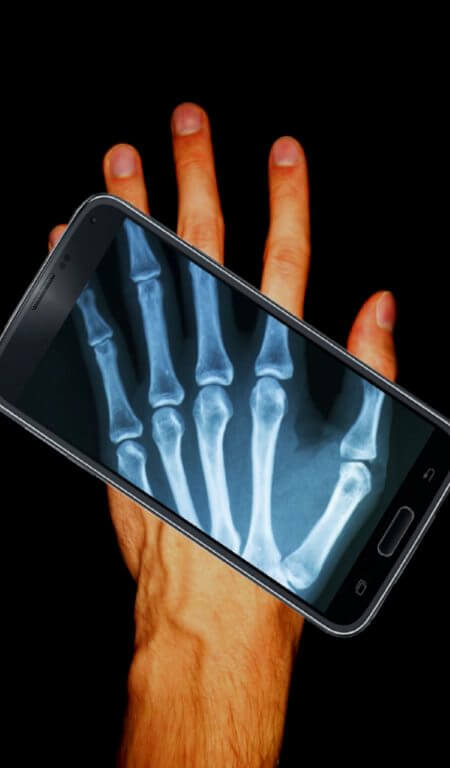 After taking some time to get accustomed to the app, you can try to prank your friends and make an X-Ray scan on their hands, legs, head or chest. As a bonus we give you skull roentgen wallpaper (select it in live wallpaper menu) and widget to run app directly from your home screen.